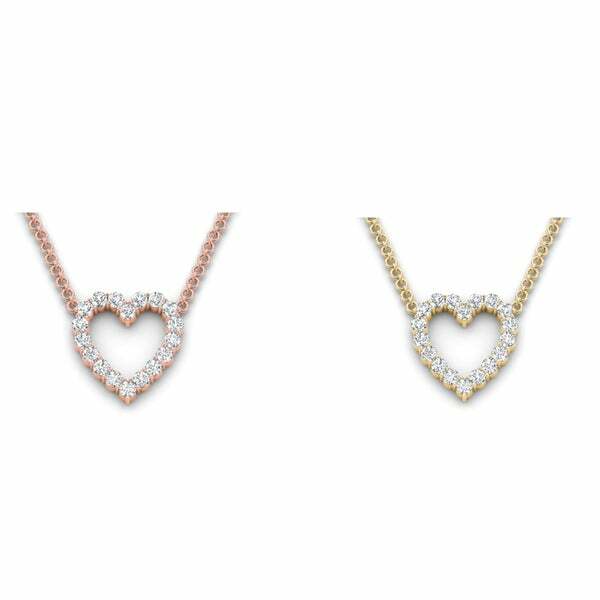 10k White Gold 1/4ct TDW Diamond Heart Necklace (H-I, I1-I2) - 9'6" x 13'6"
Crafted in gold, this open heart design is completely outlined with a glittering array of diamonds that catch the eye. A meaningful gift of love, this heart suspends close to hers along an 18.0-inch cable chain that secures with a spring-ring clasp. All weights and measurements are approximate and may vary slightly from the listed information. *T.W. (total weight) is approximate. 1/2 carat T.W. may be 0.45 to 0.57 carats. Treatment code N. See Treatment Guide for further information.